A new garage door can increase the curb appeal of your home, reduce energy costs, and increase your family’s safety. Hard to believe you can get all that from a garage door? Replacing your garage door is one of the highest return on investment home improvement projects you can do. Don’t just replace your garage door though, look for ways you can upgrade. 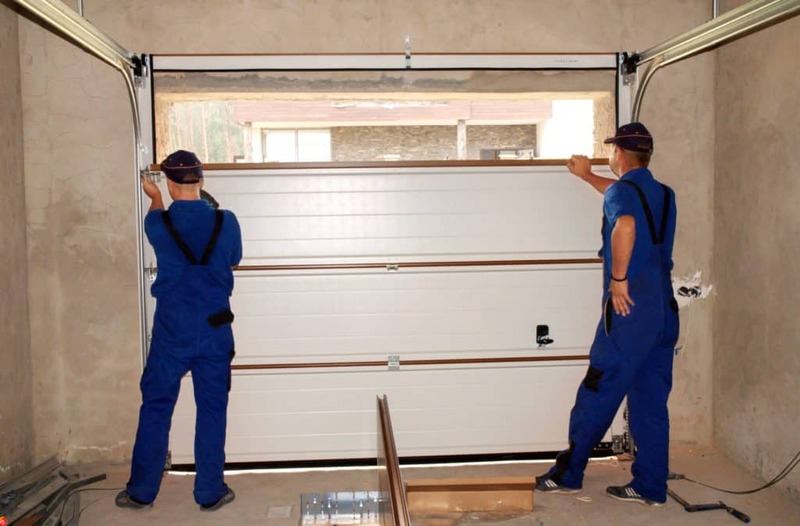 There are a few key factors to consider when shopping for your replacement garage door. You may be tempted to go online and blindly order a garage door from a website. This is asking for trouble as every garage door is a little different. A knowledgeable salesperson will check the measurements of the opening size and shape. They will also check the side and head clearance. If there are any issues when installing you will have a support team behind you to ensure proper installation. When you go it alone you may be stuck with a garage door that doesn’t work and no recourse to fix it. The cost of garage door replacement is an investment. Just because you bought one of the best-rated garage doors doesn’t mean its right for your home. The material that you choose for your garage door may depend on what size budget you are working with. You may also want to consider current home trends and the climate of the area you live in. If you live in a humid or caustic environment then aluminum is a wise choice as it is rust resistant. You could replace some of the solid panels with frosted glass to give the door a more modern feel. If you are looking for a ton of options, steel is your best bet as they come in a wide range of color, insulation, and price levels. Basic steel doors will be a single layer and not insulated. High-end steel doors will feature a three-layer system and 2 inches of polyurethane insulation. If you are doing a garage door upgrade then look for a door with multiple layers and insulation. Typically, wood garage doors are made out of a moisture resistant wood such as cedar, redwood, or cypress. Having wood garage doors will require more maintenance long term. Every few years the natural coating of your wood doors will need to be recoated. If you wait too long to recoat them you’ll have to sand them down and start over to get the brand new look again. Faux wood composite looks like real wood but doesn’t have the maintenance requirements of real wood. The composite is moisture resistant so no fear of moisture rot, splitting, shrinking, or cracking. Composite doors can come insulated. You can also paint and stain them just like real wood doors. Insulation is a smart choice if you live in an especially warm environment. By insulating the garage door you’ll save money in the long term on energy costs. Garage door insulation has an R rating value. The higher the number, the better the insulation. The rating measures the thermal resistance and is a common rating system in the building and construction industry. Thermal resistance refers to the flow of heat. The number rank is based on the thickness of the insulation and the chemical properties therein. Do not assume that a rating of 16 is twice as effective as a rating of 8. For example, a rating of 8 would reduce heat flow by 90%. A rating of 32 will reduce heat flow by 97%. The springs make your door go up smoothly and go down slowly. The springs that are used are under tension and thusly called torsion springs. The standard springs are designed to last for 10,000 uses. The average family opens and closes their garage door 6 times a day. Using your door this much you’ll need to replace the springs in less than five years. Upgrade the springs and you could double the useful life of your springs. Your opener is going to eventually fail and will have to be replaced. If you are already having someone install the new door, they can easily install a new opener while they are there. Combining the installation can save you money on labor costs. Ask about package deals from the company you purchase your door from. Sure you may be tempted to save yourself the installation cost by putting the door on yourself. However, you probably don’t own the tools needed for winding the springs. If you have never installed a replacement garage door be prepared for a lot of parts that need to be put together. This project could very easily take you all day. Once you get the door in you’ll have to do something with the old door. A professional installer will haul your old door away for you and take about four hours. Choosing to have windows in your garage doors can add style and a source of light to your garage. If your garage is heated you may want to consider insulated glass to reduce the loss of heat. Make sure your windows are placed high up on the door for privacy and safety. You don’t want the windows so low that people can look in. Lower quality steel doors will use 25 or thinner gauges of steel. With steel the bigger the number means the thinner the layer of steel is. This is especially important if you are going to purchase an uninsulated door. Without the support of the insulation, the thicker steel is needed to help prevent dents. Contact a trusted company to have a qualified and knowledgeable salesperson walk you through the process of buying a new replacement garage door. They can help you pick the material for your garage door based on climate and budget. While you’re buying a new door, upgrade your springs and get a new opener. consider other features like windows and thicker steel. Let us help you pick out your new replacement garage door today.